As we enter into the Advent season, I thought I’d put together a few podcasts that reflect my thoughts and communicate the importance of the Advent tradition. You don’t have to celebrate with candles or a wreath but Christmastime is the perfect season to reflect on Christ’s coming to the world and his eventual return. Some people may know that the Advent season focuses on expectation and think that it serves as an anticipation of Christ’s birth in the season leading up to Christmas. This is part of the story, but there’s more to Advent. The church now sings [this] song in commemoration of that first coming and in expectation of [Christ’s] second coming. 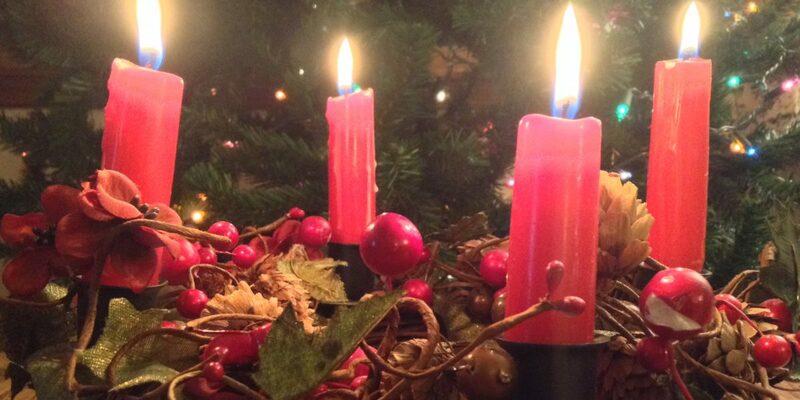 Today is the first day of Advent. It’s the season where we celebrate the coming of Christ. We remember His first coming and anticipate his second. Hope springs eternal as we look to the return of our King. Until then, may you be at peace knowing what God foretold has come to pass and will be completed. Israel looked to the writings of the prophets and hoped for a Messiah. Their hope was in Him who would come and ours is in Him who has come. So we light this candle to symbolize our hope in Christ and our expectation of His return.